Sashimi knife is designed only for cutting sashimi. 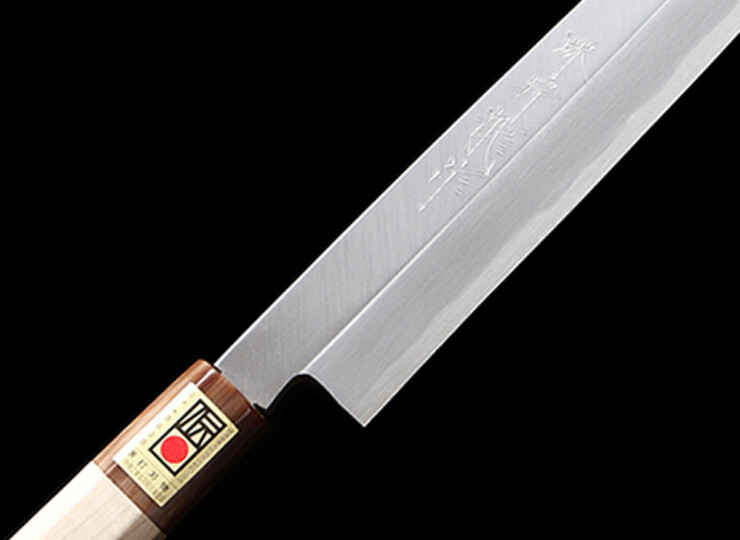 The tissue of fish can be damaged by being scratched of back-and-forth motion, however, with this sashimi knife, you don’t have to pump it many times. Please enjoy the palatable taste of sashimi with our sashimi knife. 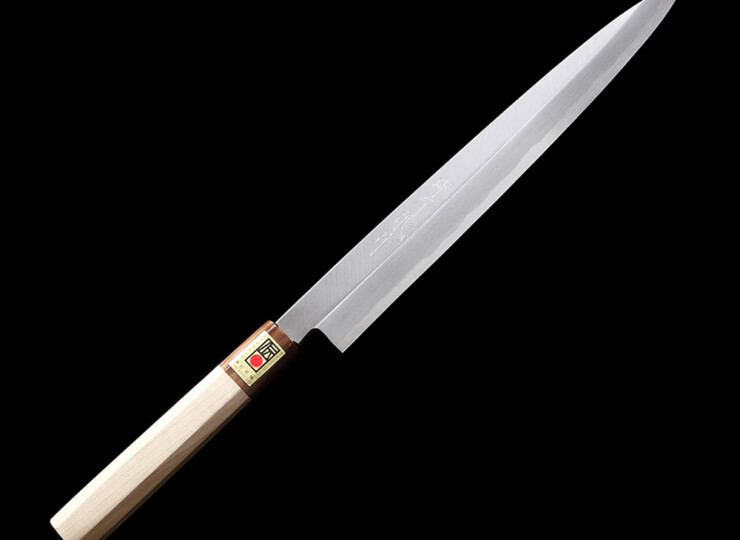 This sashimi knife is a built-to-order product, so it might take about 3 months from order to delivery. Please contact us through inquiry form if you are interested in ordering this item.